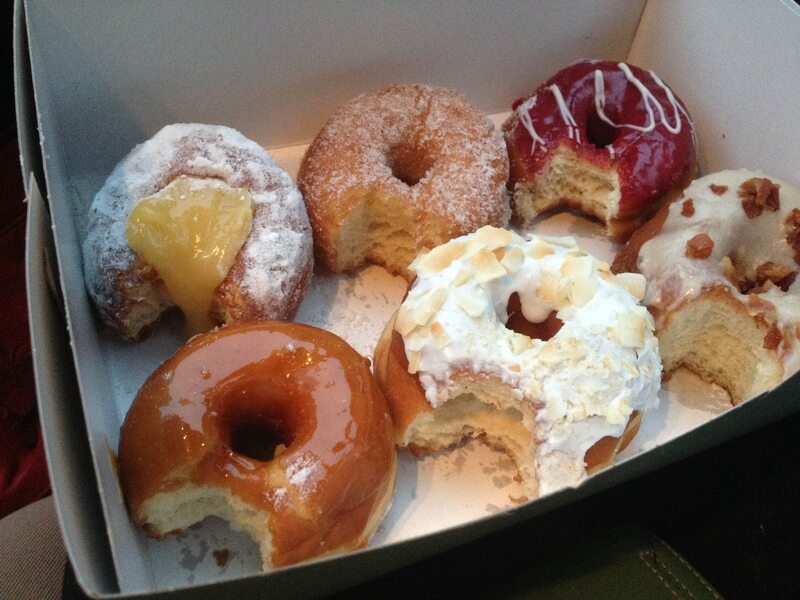 A six-pack of SuzyQ Donuts last, taste-tested and photographed by Anne DesBrisay. Yes, yes. Much has been written about the temptations of Suzy Q, a bit of it by me. But when my youngest son, with his freshly inked learner’s license, rounded a corner on Carling Avenue and very nearly smashed into the snarl of immobile cars queuing up for a drive thru double double and a chocolate dunker at Tim’s — I saw red. How is it possible people line up for these ‘freshly frozen’ flavourless rings? The kid then made the mistake of admitting he quite likes Tim’s donuts. It was a learning moment if ever I met one. I made him drive straight to Suzy’s for a taste of the good life. We picked up a six pack for us, and one for the carpenters at our new home — Tim Horton’s fans all. When we arrived to deliver the treats, the tile guy had beat us to it. The Timmy H boys had turned into Suzy Q fans. It was the maple bacon that clinched it. SuzyQ Donuts. 99 Wellington St. W. 613-724-2451.